John Herbert takes a look at the design behind the new Aruba 8400 switch and why little things like airflow and linecard layout can help solve manufacturing issues. He also discusses how the new generation of switches like the 8400 can bring increased performance to locations that may not have the support of a full datacenter environment. 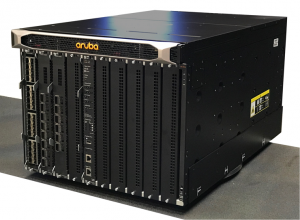 Aruba is making a big push with their new 8400 series data center switch. It’s a marvel of modern engineering with impressive hardware and software built to help modern enterprises succeed. Brandon Carroll takes a look at what makes the 8400 special and how it will help network professionals build on a platform for the future.